After our manufacturing review in December we had a lot of updates to make to our design. We modified our end of term report from last semester into this semester planning report. ​EcosySTEM Arts is working to provide a STEAM (Science Technology Education Arts and Mathematics) toy for children who have been hospitalized. Children tend to mentally regress when they are hospitalized which is why it is so important that they are given opportunities to learn and be creative. The team has been asked to design a unique toy that will be both fun and educational that is safe for children to use even when they are unsupervised. The Children’s Hospital in Aurora has provided many requirements that have to be met before a toy is allowed into the hospital. The most important of these requirements is the safety of the children who will be using the toy. The other requirements specify the weight, size, and durability of the product. In order to provide the best toy to the children’s hospital, the team provided many different designs that met all of the specifications and narrowed them down. The team chose a 3-dimensional maze toy in order to incorporate multiple educational concepts into one product. The toy consists of 4 individual cubes that connect together via an interlocking component. This design was chosen so that EcosySTEM Arts can further develop the toy in the future. The nonprofit would like to create a curriculum in which the toy can become customizable and provide children opportunities to design and create their own unique cube. The four cubes in the first product will represent space, the ocean, photosynthesis, and a skatepark. In order to increase visibility into the cubes and decrease the risk of harm to the children from sharp edges, the walls of the cubes will be bent. The team has decided to outsource this task to Colorado Plastics to ensure that these walls are bent correctly. Colorado Plastics will also be manufacturing the holes for the fasteners in these walls. The games in the cubes will be made using either a CNC mill an objet30 3D printer to ensure that the final product has the highest quality. To ensure that the product meets all of the design specifications the team has developed a series of tests. These tests will illuminate the areas of failure and will be used to improve the design so that it is as safe as possible before it is given to the Children’s Hospital. The team has come up with a recovery plan in the event that these tests prove that the product will not work as intended. The team has currently spent around $150 of the $2000 budget for this project. The projected budget for this project is $1751 which leaves room for unexpected expenses. This budget includes the materials for 2 full prototypes and 2 final products. Designing this toy is intended to improve the lives of many children who have been hospitalized and are denied many of the same opportunities as the average child. This product will also provide EcosySTEM Arts with a product that they can use to expand their nonprofit and help kids all over the world. EcosySTEM Arts is the first non-profit organization that gather a large group of engineers, K-12 schools, universities and hospitals to effectively reach the hospitalized children. It is founded by Brian Jernigan and dedicated to providing STEAM education opportunities for children in Children’s Hospital and involving other student in design-learning through empathy. Their goal is to provide authentic learning opportunities for the instructors, caregivers, patients and students in grades Pre-K to K20 in developing Science, Technology, Engineering, Arts, Mathematics (STEAM) toys for the hospitalized children. The organization realizes that the adolescent patients at the hospitals often lack access to play with common toys due to the strict risk management standards and sterilization procedures. Therefore, the founder decided to collaborate with the CU Boulder Senior Design Program to design and fabricate the toy. He hopes that the STEAM toy can follow the standard hospital risk management and help the children to learn effectively. During the Fall of 2016 and the Fall of 2017, two senior design Mechanical Engineering teams at University of Colorado Boulder came out with two different products. The first team designed a huge toy was called as, “The Electron Model”. The toy was complex and had more than 100 different components that made it not work at the end of the project. The dimension of the toy was around 20”x20”x30” which obviously made it heavy and not practical. They ended up did not meet the hospital requirements and standards because the parts could be choking hazards and were not safe for the children. Based on these results, the EcosySTEM team determined that it is best to keep the product simple and feasible. Last year, the senior design team discovered the problem that the previous team made, so they built a way smaller toy than before. They called it as “Build Your Own Water Cycle” which sized about the Macbook Air (13”x9”x1”). The components were less than 30 parts and they had 4 prototypes before they came out with a decent, final product. They utilized feedback from local children to determine what kids were looking for in a STEAM toy. They experimented the toys a few times and made few iterations to make sure that the children understood the concept of the toy. It worked successfully because the therapeutic design sessions helped them throughout their engineering design journey. This year’s project year of collaboration between Design Center Colorado and EcosySTEM ARTS. This year’s project has the specific aim of providing an engaging and STEAM oriented toy to Children’s Hospital Colorado. Along with providing a fully functional, trade-level toy, the product will be capable of having a curriculum developed around it where students will be involved in the design process and make their own iterations and designs of the toy itself. The team also wants to take the project a step further and create a product that will support and aid EcosySTEM ARTS and children at Children’s Hospital into the future, and create a platform from which future Senior Design teams, and students around the country can learn from and participate in. The team’s mission is to undergo the therapeutic design sessions with the kids at the hospital and the kindergarten and the educators to gather inputs for the product. The final product will be impactful for the future of the nonprofit and will outline the company’s path for helping sick kids around the world through creativity, STEM, and Arts. The mission of this project is to create a toy that will help enhance the lives of kids who are hospitalized. Children who are hospitalized for an extended period of time often regress mentally due to the constant feeling of not being in control of anything in their lives. They are denied many things that children who live outside the hospital use to develop. For this reason, we are creating an educational toy that can be used by these kids while they are unsupervised. In order to be unique, this toy needs to be designed to teach scientific concepts to children of many different backgrounds. The toy will have a STEM and Arts focus and will be targeting children who have a mental age of 4-8 years old. To get these toys into the hospital they have to be durable and childproof so that they do not break while in use. The toy also has to conform to the Children’s Hospital Risk Management standards so that the toy is as safe as possible. The mission for the product and for EcosySTEM Arts further down the road is to create a curriculum that can be shared with students all over the world so that they can create their own toy and customize it using our design as a template. The nonprofit is looking to reach out to schools who have a hospitalized student and help them design a toy to give to that child while they are in the hospital. Building this toy can be used as an opportunity for high school students to get some manufacturing experience. The team hopes to document and share the entire process on the EcosySTEM Arts website so that they can learn from our experience. Sterilization: ​​​​​The product must be able to withstand an intense sterilization process. It is expected to either be made from durable material that can withstand the sterilization process or have the ability to be operated from inside a sterilization container. Size: The product must be small and lightweight, so that it is easily transported by children, but must not pose any choking hazards. Safety: Flashing lights and loud noises are to be avoided in order to avoid triggering reactive seizures. There shall be no sharp edges in order to prevent injury. All electronic components and small objects must be contained and confined. Functionality: The product must be able to stand and be operated on its own. The product much also not require regular maintenance (at most a battery change). The product must also not be composed of many pieces as they may be lost. The product must be easy to use while confined to a bed. All concepts must be open to criticism and revision based on ideas and feedback from children throughout the design stage. Children will be consulted during the preliminary design phase, the prototype testing phase, and the final design decision phase. EducationThe product must be STEAM related and must inspire creativity and learning. It must be easily understood and interesting for kids in the range of four to eight years old. The product must also impact future engineering students by providing them with the opportunity to build the toy themselves. Two prototypes shall be created and tested with children. The prototypes do not have to be production ready, but the basic concept of the prototype must be outstanding. The results of the tests will help determine the final product design. The product must be able to withstand exposure to small children while also meeting hospital requirements. The budget must be within $2000 allotted budget unless extra funding is raised. ​The team weighs the customer requirements to see the importance and the difficulty of meeting the requirements. 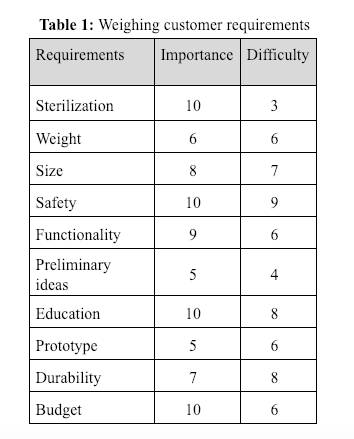 From scale of 1-10, the team defines 1 as least important or difficult and 10 as most important or difficult. Based on the given customer requirements, the team specifies the following aspects to the measurable needs. These specifications will be a structure around which the team can design an EcosySTEM ARTS toy. One important factor for the toy is its weight. The team’s goal is to make a toy that in no way inconveniences hospital staff and is not cumbersome in any way. To be an easily useable toy, the toy will be less than 2 lbs fully assembled. 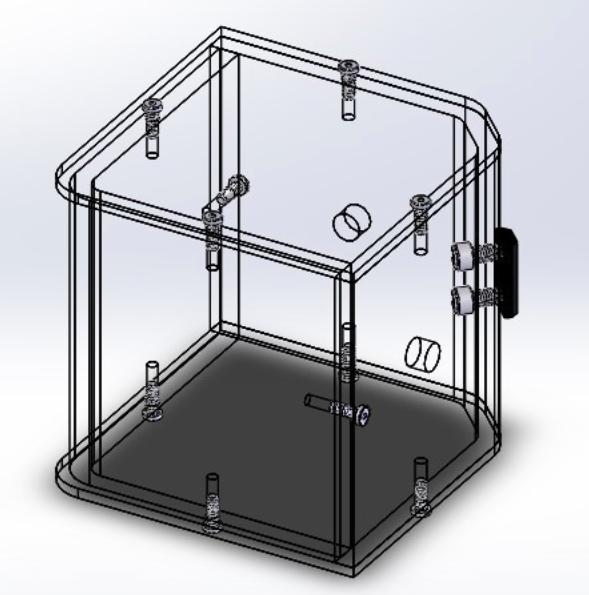 Using SolidWorks material properties estimations, the full assembly weight is estimated to be under two pounds. Another factor playing into the toy’s ease of use is its size. The toy was designed to be smaller in volume than a standard iPad size rectangular prism of 10x7x7 inches. The design has a size of 8x8x4 inches, which is smaller in volume than the volume limit. It was also decided that the toy should have no more than two separate assemblies. This was to ensure that parts of the toy could not be lost, making the toy unusable, and so that the design was easier to keep track of. The toy delivered to the hospital will be one sealed assembly, meeting this requirement. Due to the toy’s use in Children’s Hospital, there are many very specific safety requirements that must be met and followed precisely. After passing inspection by Hospital Staff and Risk Management, the toy will be left unsupervised with children at the hospital. For this reason, it is imperative that the toy not have sharp edges or choking hazards or be able to come apart in the hands of a child. Some children in the hospital are on self-harm watch and ensuring that our toy can be in no way be manipulated to be used for self-harm is of the utmost importance. If the toy in any way harms a child in the hospital the team’s project will have failed. The toy must be safe under even extreme use by the children. 4. Durability As mentioned above, the toy will be left in the hands of children unsupervised. The toy will need to be ‘kid-proof’ and be able to withstand children’s use and abuse. Specifically, the entire assembly must be impact resistant and remain intact when it is dropped and handed roughly. Testing to ensure these characteristics will be described later in this report. The toy will also be sanitized after every use, so it is necessary that the device retain its transparency after repeated cleanings. All of these design requirements can also be viewed in a condensed version shown in Table 2 below. The EcosySTEM Arts project is a very open-ended project. The biggest initial challenge was determining what the team would make that would be both an engaging toy for children and an engineering challenge for the team. The team was inspired by the previous teams’ projects and toys they researched online, but a unique idea specifically designed for EcosySTEM Arts’ goal was needed. Thus, the team was tasked with each member brainstorming three unique ideas for an educational STEAM toy. These eighteen ideas were then presented to the rest of the group, the client, and director. Each of the ideas were discussed at length for their overall pros and cons and engineering challenges. Eventually, the ideas were voted on and refined to three distinct toys: Foosball Coding game, Probability game, and 3D Maze. The team then divided themselves into three groups and each produced an initial prototype for the toy ideas. The prototypes were aimed to answer important initial questions, including size considerations, complexity of human-toy interaction, and engineering feasibility. The prototypes were also presented to children at a local elementary school and given feedback for what the children liked or disliked about each prototype. By the end of this process, the team chose to create the 3D Maze with interlocking personalization abilities. This option was liked best by the elementary school children, offered the greatest potential engineering challenges, and showed potential for creativity and a multitude of teaching opportunities. The 3D Maze would also provide mental stimulation for children since it would require eye-hand coordination, spatial visualization, and various kinds of mazes and worlds within mazes to reach children with different interests and skills. The 3D Maze will be designed to be played in multiple ways so as to avoid frustration in children who might not be ready for such difficulty, and to continue challenging children who want to figure out every possible way to solve the maze. The final design for the 3D Maze will include four cubes that attach to a central part made from aluminum and Delrin. The central part will allow the cubes to be interlocking so users can personalize each cube and have the mazes be specific to their interests. This also means the team will have to face the challenge of creating an interlocking component that is not only strong but lightweight. This design enables each maze to be sealed off so children will not have access to any components that might pose a choking hazard. Figure 1: Fully assembled cube. 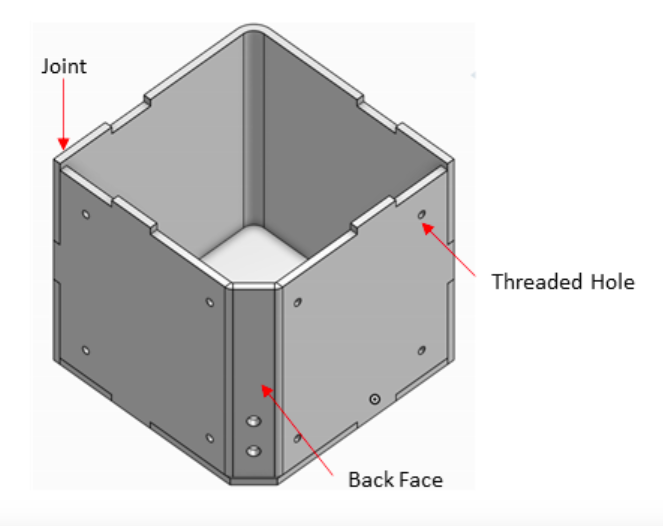 Figure 2: Polycarbonate walls of the cube with interlocking mounting holes. 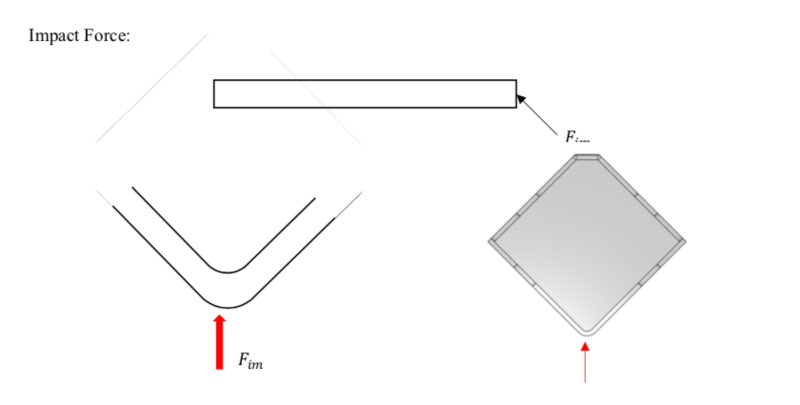 Figure 3: Bent polycarbonate cube window. The cube was originally designed using all ⅛” polycarbonate to be bonded together with only, but after meeting with Colorado Plastics, this we deemed insufficient. The design was altered to use ¼” polycarbonate to accommodate fasteners and increase strength. 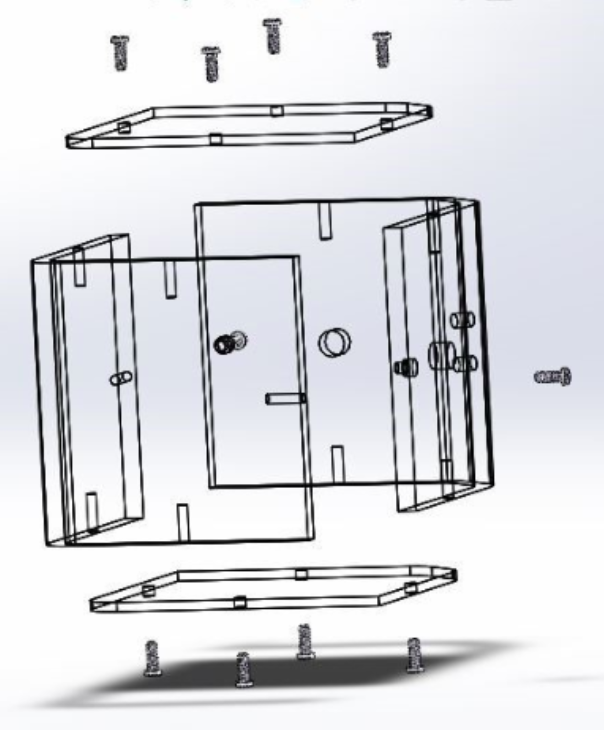 Figure 4: Exploded view of cube including fasteners. The polycarbonate will be machined and bent by Colorado Plastics, a local manufacturer, except for the top and bottom, which will be cut with a CNC mill in the idea forge. The polycarbonate cannot be laser cut because polycarbonate releases chlorine gas, which neither the university or Colorado Plastics have the capabilities to handle. Outsourcing the plastic will also cut down on manufacturing time and allow for large batch orders. ​The lid was designed to overshoot the edge of the window to provide extra strength around the fasteners. It will also provide a small lip from which to grip the maze. ​In order for the toy to be customizable, we decided to make the cubes detachable. 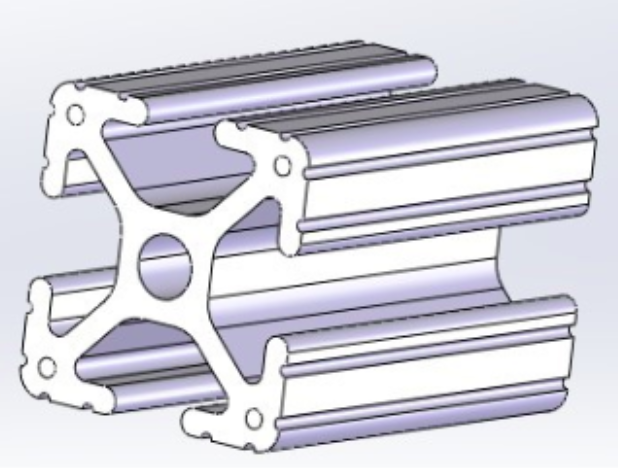 The interlocking system that best fit in our design is as shown in figure 5. The system consists of an aluminum T-slot, four slide-in T-nuts and two custom-made caps. This system will be the centerpiece of the toy and all the cubes will be attached around this interlocking system. As the project require us to make a toy that is safe for toddlers, this centerpiece can only be accessed by adults as it will be securely fastened with screws. 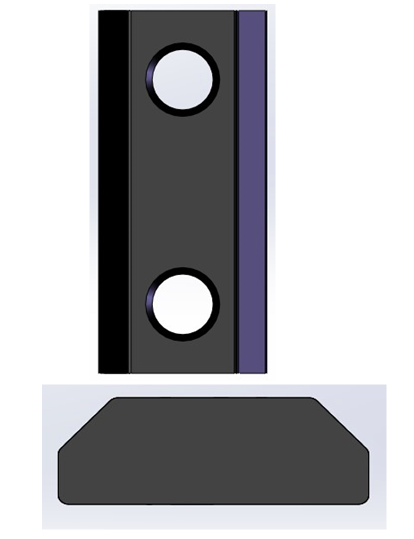 Figure 6: 8020 Aluminum T-slot. Figure 7: Front and bottom view of zinc alloy double slide-in T-nut. The last component for the interlocking system is the cap. In order to have the aluminum T-slot mount in the middle of the toy, we designed two identical caps to pinch the T-slot as shown in figure 8. The extruded shapes on the cap are meant to hold the T-nuts in the T-slot and as a locating feature for the system. We decided to use Delrin plastic as it has a high tensile strength, strong impact resistance, and is shock absorbent. It is also lightweight and comes in variety colors. Therefore, it is very suitable for this project. We will machine plastic stock into the shape using a milling machine. Figure 8: The ABS plastic cap. The next critical subsystem in the toy is the actual game itself. This will be made up of four individual games that are put into the cubes which then create one unique toy that will teach kids scientific concepts in a fun way. Each maze will be made up of two planes with the goal being to get through the cube to the next cube to continue the game. Following along with our motto, “No Wrong Way to Play”, each game will be designed to be played both backwards and forwards. The purpose is to teach scientific concepts to young children while making the toy fun and engaging at the same time. There are many different languages and cultures in and around the hospital in Aurora, so the educational aspects need to be as universal as possible. 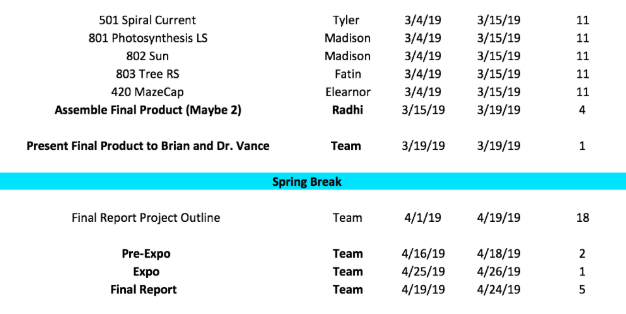 In order to decide which four games to develop for the comprehensive design review, each team member created two drawings of potential games for the cubes based off ideas the team had accumulated during our time interacting with children. From these twelve ideas shown in Figure 9, there are four concepts that have been developed further to complete an idea of one full product. Figure 9: Original 12 game concepts. 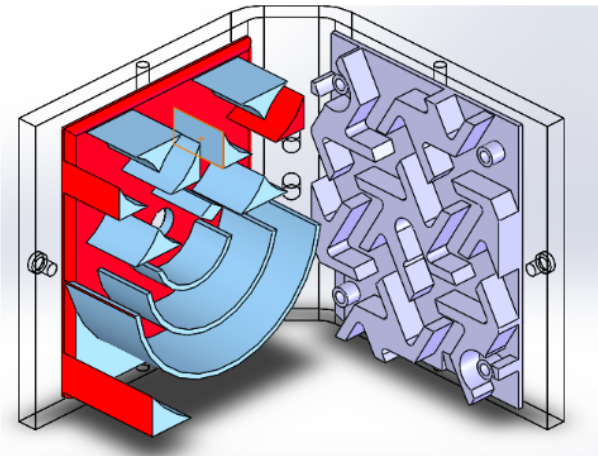 Most mazes will be milled out of Delrin, except for some smaller components of more complex geometry. These maze components will be 3D printed using the Objet30 3D printer, a high-quality 3D printer that will give high tolerance and good surface finish. All the mazes will be fasted to the polycarbonate. ​The first game teaches kids about our solar system. It incorporates the original maze element on both the right and left hand the planes and there is a spiral track going through the center that represents the solar system. If one enters from the left side, the goal is to solve the maze and get to the solar system track, then go through the track starting at Pluto and falling off once your reach Earth. Originally, as shown in Figure 10, the maze was designed to have a bottom plane with many pegs representing an asteroid field. After falling off the spiral track at Earth, the game then continues onto the right-side maze which leads to the next cube. This can also be played in reverse, but the spiral maze is not necessary from this direction. 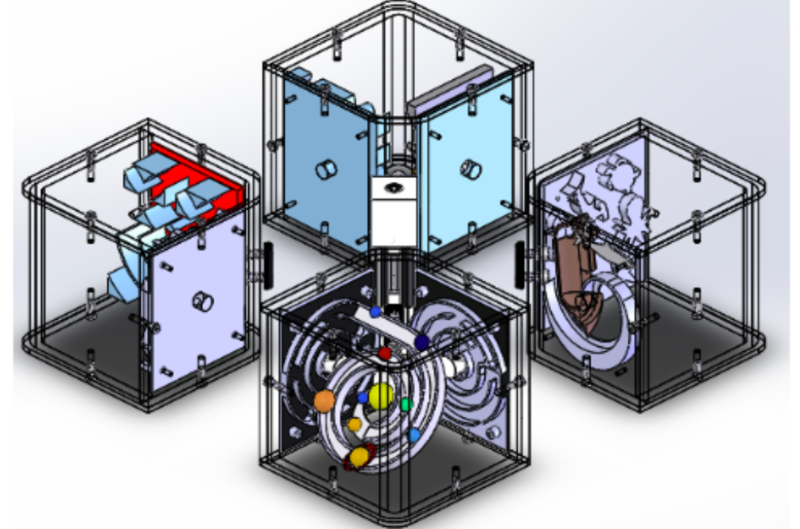 Figure 10: Original finished CAD for the space maze cube. Also seen in Figure 10 above is that there is nothing to stop the ball from flying into the center of the cube from previous cubes. To make it easier for children to drop the ball from the games in the adjacent cubes into the mazes on the faces of the space cube there is now a cap on both the right- and left-hand mazes. The assembled game with the new caps is shown in Figure 11. ​The final design shown in Figure 11 no longer includes the bottom plane. This decision was made to both decrease the weight of the final product and increase the visibility from the top and bottom so that the toy is able to be used upside down and right side up with ease. 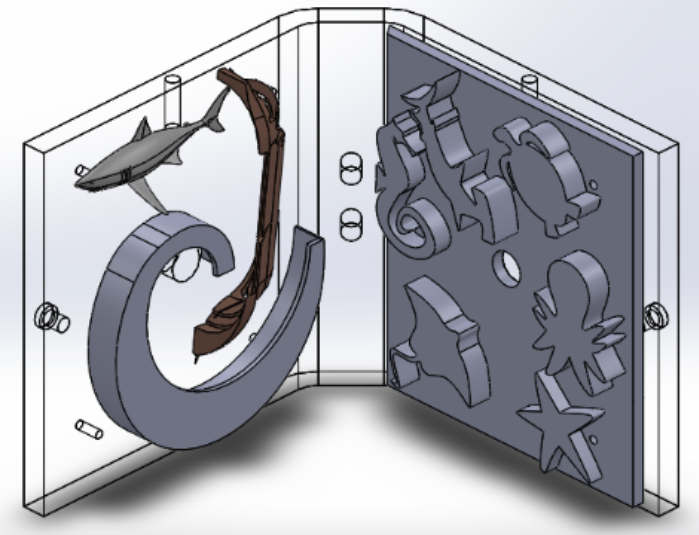 Figure 11: CAD for the space maze cube including the caps on the entrances. 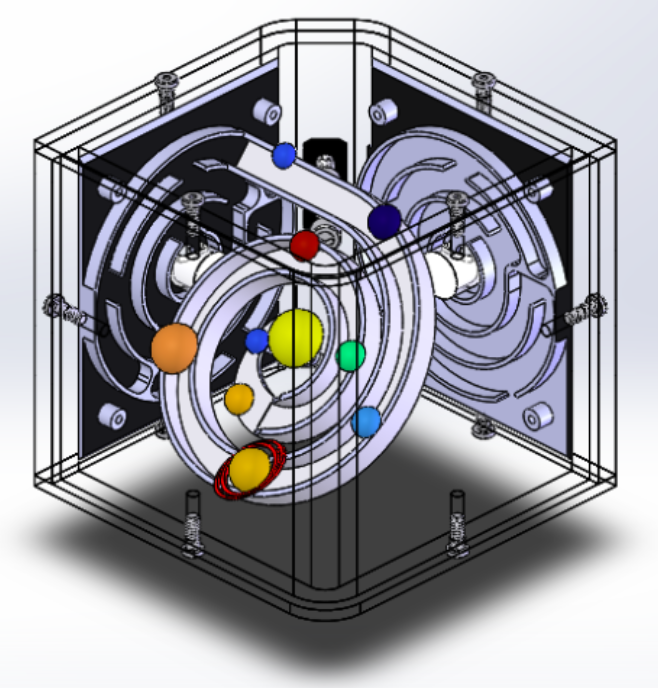 Figure 12: Solar system components of Space Maze. Features have been added throughout the maze to ensure transferring between planes is easier. For example, the space maze has included a cap on the entrance and exit of the maze, so the ball enters in a controlled fashion. Figure 13: Initial concept for the caps on the entrances. Figure 14: Photosynthesis maze assembly. The third maze is centered on the ocean. The ball will travel around a spiral current and through a shipwreck, and then navigate a group of 3D printed sea animals. This game can also be played in both directions and will involve coordination challenges. Figure 15: Ocean maze design. The final maze is designed after a skatepark and aims to teach basic physics concepts like gravity and motion by including coordination challenges like curves and ramps, 2D and 3D. Figure 16: Skatepark maze design. The left-hand side can be played upright or laying down, with varying difficult and challenge based on the orientation. The right-hand side will have a geometric pattern of ramps to navigate. The ball can roll up or down the ramp and there is also an easier path through the walls to enter and exit the maze. ​In order to make these games artistically pleasing, we will be using different colors of Delrin for milling the mazes. 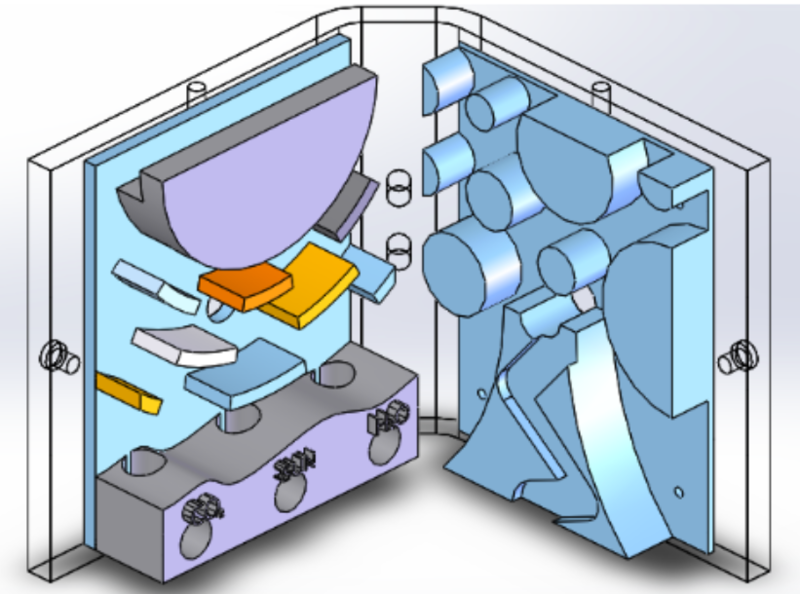 Figure 17: Full assembly of the design. The overall assembly is as shown in the figure 17. All cubes will be individually assembled, fastened, and sealed. They will then be attached to the interlocking component. The cubes themselves are flush to each other, providing additional strength and support and allowing the ball to transfer between the cubes with no danger of falling out of the maze as a whole. The material for the T-slot is aluminum and the dimension for the stock size is 1x1x24 inches. The expected procedure to manufacture the part is by cutting the stock into 1x1x4 inches initially. Next, we will tap two ¼-20 holes with 0.5 inch depth on top and bottom side of the T-slot using milling machine and #7 drill bit size. Please refer to appendix section for detail drawing. ​The material for this part is ABS (Acrylonitrile Butadiene Styrene) plastic and the dimension for the stock size is 2x4x6 inches. The expected manufacturing process for this part is by cutting the stock into 1x1x1.47 inch initially using milling machine. Next, we will machine one surface of the ABS into the desired profile using milling machine. Lastly, we will tap a counterbore hole for 1/4 -20 socket head screw through the ABS using milling machine. Please refer to appendix section for detail drawing. The material for this part is clear polycarbonate plastic and the dimension of stock size is 24x48x1/8 inches. 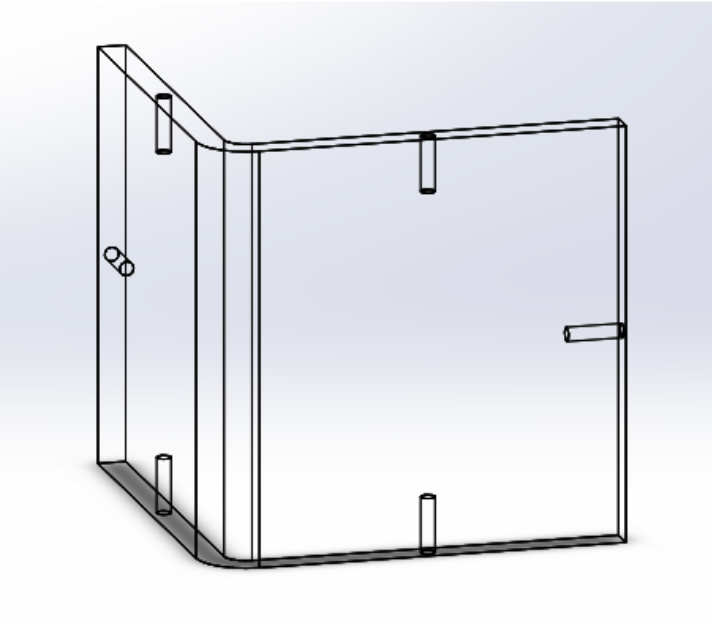 The expected manufacturing procedure for this part is by cutting the polycarbonate sheet into 4.2x4.2x1/8 inches using vertical band saw initially. Next, we will set the program on the mill machine to cut the polycarbonate sheet into our desired profile. Finally, we will tap four 0.15 inches diameter holes through the polycarbonate sheet using milling machine. Please refer to appendix section for detail drawing. The material for this part is clear polycarbonate plastic and it is mostly will be fabricated by Colorado Plastic. We have to finish the fabricated part by making 2 holes in the middle of each part. The expected manufacturing process for this part is using mill machine. The material of the mazes for prototypes is PLA (polylactic acid) filament while the material for final products for 3D printed mazes would be VeroWhitePlus filament. The mazes will be fully 3D printed using Lulzbolts for prototypes and Objet30 for final products. Some of the mazes will be fabricated using mill machine. The estimated manufacturing for the parts is to cut down the stock material into size and run the program on the CNC mill machine. Please refer to appendix section for detail drawing. In order to put the mazes onto the cube’s walls, we will be using Loctite epoxy plastic bonder. 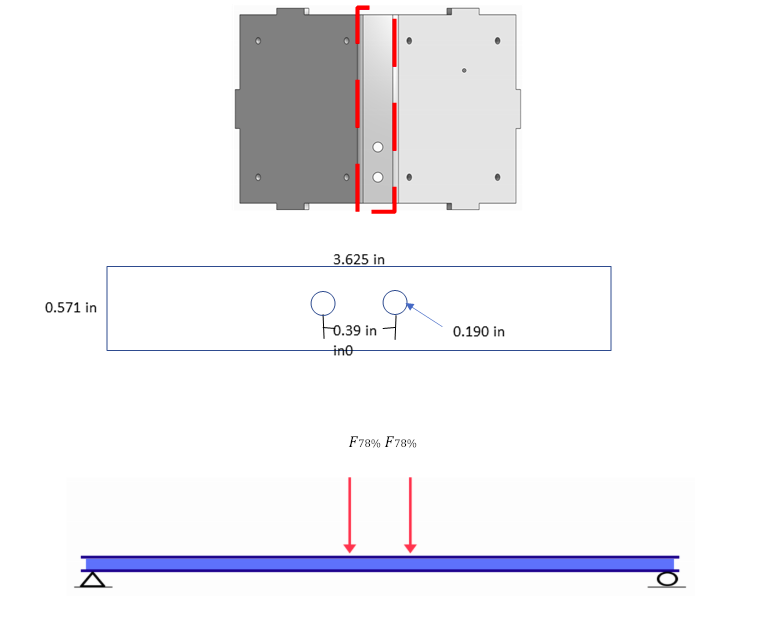 The estimated time to bind a maze on polycarbonates wall is 5 hours including the rest time needed. There would be a total of 8 mazes per product. The detail drawing for the maze’s location can be found in appendix. Besides the fasteners, we will apply DCM (Methylene dichloride) solvent on every interface between the polycarbonate sheets. The estimated time to bind all of the polycarbonates wall is 24 hours including the rest time needed. There would be a total of 4 cubes per product. The detail drawing for the mazes can be found in appendix. In order to establish confidence in our design’s ability to withstand the abuses of children, we have applied structural analysis methods to the locations we feel are most likely to fail during play. 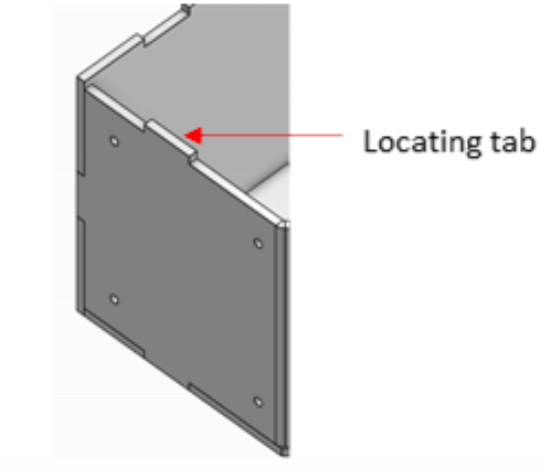 The three most critical failure locations are the joint connections, the back face, and any locations where screws will be threaded into the polycarbonate (see Figure 18). Figure 18: Visual representation of critical locations. We chose to analyze these locations as they are the most exposed during user interface, and they are made of polycarbonate which is more susceptible to fracture than aluminum or steel. The back face is a critical location for analysis as it is subject to bending if a child were to try to pull the toy apart or step on it on its side. In order to analyze the back face, we modeled it as a simple beam with two applied loads and two stress concentrations at the holes. (Figures 19 and 20). Figure 19: Simplified Beam with 2 equivalent applied loads. Figure 20: Dimensions of back face. Using the flexural strength of polycarbonate (휎= 135푘푠푖) we were able to determine that the maximum force that can be applied to each hole in the back face before fracture is approximately 40.1 lbs. for a total applied load of 80.2 lbs. Given the strength required to apply a load of 80.2 lbs. in a pull-apart motion, it is highly unlikely that a child will be able to pull this toy apart. 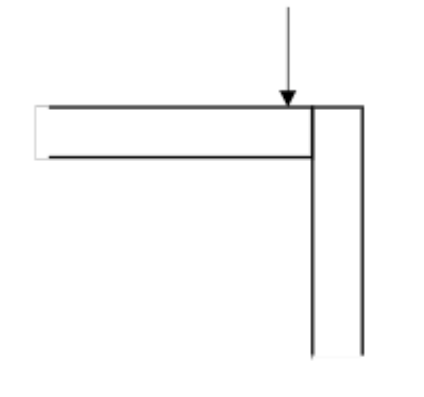 Figure 21: Simple beam representation of corner joint. With these assumptions, we found the maximum shear force that can be experienced by the adhesive is 푉 = 25푙푏푠. This result was alarming at first, but we soon realized that the locating tabs (Figure 22) would add structural support to the design. Using the shear strength of polycarbonate (휏 = 9200푝푠푖) we found that the force required to shear the polycarbonate tabs would be 푉 = 863푙푏푠. 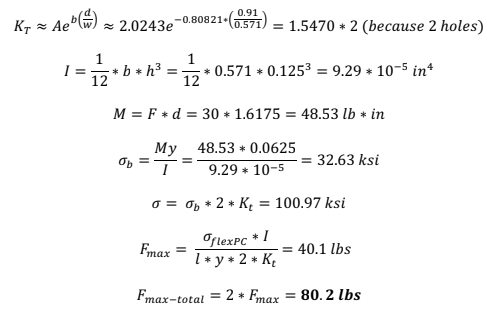 To determine the force of impact, we used a force of impact calculator from hyperphysics.com [reference] and the following assumptions: simple beam, neglect air resistance, deformation of 0.25 inches upon impact, dropped from rest, mass of 2 lbs., height of 4 feet. From the calculator we determined that the force of impact experienced by the toy would be about 384 lbs. If the worst location to drop the toy would be directly on the corner, we utilized trigonometry to determine the shearing force experienced in the corner joint. The shearing force experienced in the joint when dropped from 4 ft. would be 푉 = 272 lbs. Because 272 lbs. is much less than 863 lbs., we are confident that the toy will survive a fall of 4 ft.
After determining that 4 ft. would prove to be a safe drop height, we varied the height on the force of impact calculator to determine the max height that would produce an impact force capable of shearing the polycarbonate. The maximum height that the toy can be dropped from before shearing the joints is about 12.75 ft. Given this number is so high, we will conduct extensive drop tests to ensure that these numbers are accurate. ​The final locations we have analyzed are the threaded holes. Even if the structure of the toy itself is strong, it is still possible that the toy will fail due to bolt pullout. 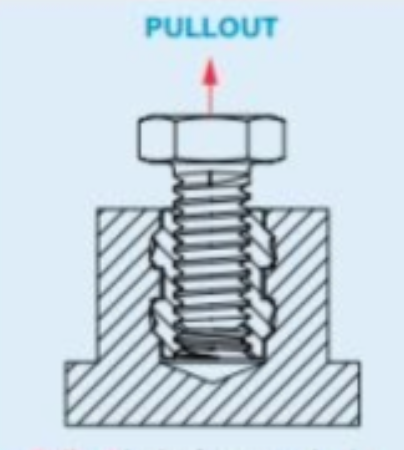 Pullout is when the threads of the female component break when a high shearing force is applied (Figure 23). We know that the female component will fail before the male component because the female component is made of polycarbonate whereas the male component is made of steel and the shear strength of polycarbonate is much less than that of steel. It was determined that a pulling force of 686 lbs. is required to pull a bolt of 0.190-inch diameter out of a sheet of 1/8th-inch thick polycarbonate. Given that the toy will be played with by small children, we are confident that the bolts will not experience a force high enough to pull them out. Figure 23: Visual representation of bolt pullout. The EcosySTEM ARTS STEAM Toy project is inherently unique. The true recipient of our efforts are children in Children’s Hospital Colorado. This means the safety, durability, and overall user experience are of the utmost importance for our test plan and toy effectiveness. The objective of our tests will be to ensure that no child can be harmed in any way by our final product, that children enjoy the experience of using the toy and learning from it, and that the final product is durable enough to survive many iterations of play and educational moments with children who are in Intensive Care Units (ICUs). Due to the final product being an educational STEAM toy, our measurements will be mostly through visual inspection and surveys of user experiences at Horizons K-8 school in Boulder, CO. We are dealing with children who can be destructive in different ways and we need to ensure our product does not provide an outlet for children to cause harm to themselves, their physicians, or visitors in any way. This means our formal prototypes will be tested in ways that will cause overall product destruction and failure so we can analyze how a child might misuse the toy and cause damage. This way we can redesign and reinforce the product for its final iteration which will be introduced to children in the hospital. ​The final STEAM toy product needs to meet specifications given to us by Children’s Hospital Colorado (CHCO), by our client, and created by our team. These specifications fall under five different categories: Weight, Size, Safety, Durability, and User Experience. These specifications were iterated on and Table 3 shows the condensed version of our specifications. 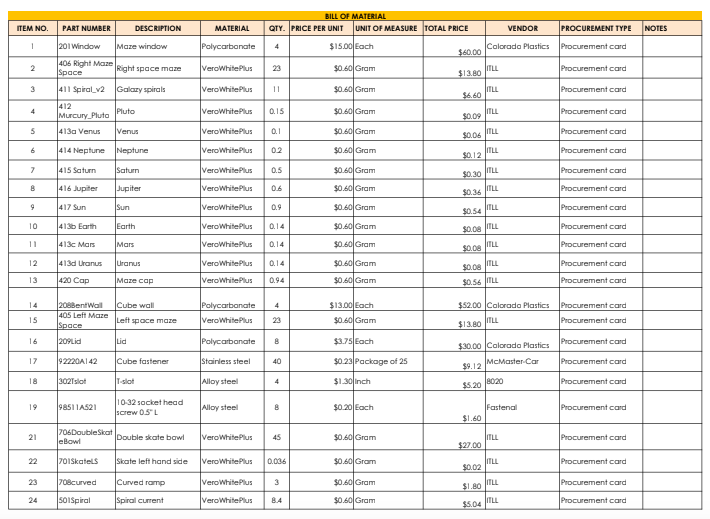 Table 3: Condensed version of specifications table. The overall goal from our tests will be to have a functional educational product that is safe. This means categories five, three, and four are most important to our team, and that categories one and two can be adjusted to ensure the others are met. The weight test will be simple, and the purpose is to know how much weight we are adding to a child’s hands. The weight is to ensure children can hold the toy in their lap without issue. This is something we can change, but we aim to keep the weight under 2 lbs. During the user experience testing, we will have a better idea of whether or not children think our product is too heavy. Table 4 demonstrates our expected results based on current mass calculations in SolidWorks. Table 4: Expected results from weight testing. The size test is similar in simplicity and purpose as the weight test. We want the toy to remain small enough for children to handle, and simple enough for them to hold without external aid. Our toy design falls within this specification well, but testing will ensure the toy cannot be forced apart into multiple components that we did not accommodate in our design. Table 5 shows our expected outcomes from size testing. Table 5: Expected results from size tests. Table 6: Expected results from safety tests and inspections. We aim to learn about the durability of our materials in most of the tests. Our design will be undergoing durability tests first, but if it fails in the initial round, then we need to begin iterations to fix this issue as soon as possible. This includes bolt failures, solvent failures, and overall material fractures. The first durability test will be to use an Instron for compression testing. We want to know exactly what kind of force the toy can withstand before failing under compression. Next, we will conduct impact testing. This will be a repeatable process in which we apply a force to the weakest point of the toy until failure occurs. This will tell us how many impacts the toy can incur before breaking. This will also tell us what kind of impact is most detrimental to the toy. Lastly, we will use an Instron for tensile testing. We will apply tension to the toy where it is most likely to experience failure by this kind of force. This will tell us whether a child will be able to manually pull the toy apart. All of these tests will give us a better understanding of what kind of abuse the toy can withstand. Since children are known for being destructive, the data from these tests will help us learn what our toy is capable of. Table 7 demonstrates our desired and expected outcomes from this testing. 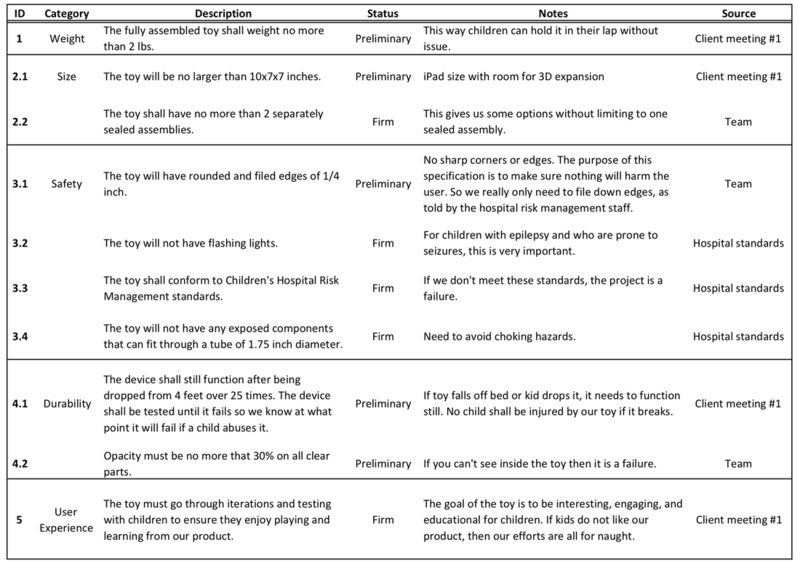 Table 7: Expected and desired outcomes from durability testing. Our durability testing also includes ensuring the toy can be sterilized by hospital staff and remain usable afterwards. This process should be undergone tens of times, if not hundreds, so that the toy is not a waste. Thus, we have detailed the toy must remain under an opacity of 30% so as to remain usable. Figure 24 demonstrates how we desire the opacity to remain after 150 cleanings. Figure 24: Desired outcome from sterilization testing. Based on how glass and plastic become foggy and less transparent over time and wear and tear, we expect the polycarbonate to increase its opacity levels with each cleaning. Figure 25 demonstrates our expected outcomes from sterilization tests. Figure 25: Expected results from sterilization testing. The toy can only be judged as successful if children in our specific age range enjoy using the toy and if they learn from it. To test this, we will take our toy to Horizons K-8 and have children ages 4-8 play with the toy and give feedback. We will give them a survey to fill out answering the questions about weight, size, educational concepts, improvements, likes, and dislikes. The feedback from the children will help us have hard concepts to adjust and iterate so our final product will be as kid friendly as possible. We will also ask the children to explain the toy to their peers and we will listen in to see what insights the kids have that they might be too shy to tell us ‘adults’. Figures 26 and 27 below show our desired and expected feedback from the surveys given to the children at Horizons K-8. These are hypothetical responses to a hypothetical amount of surveys given (30 in total). 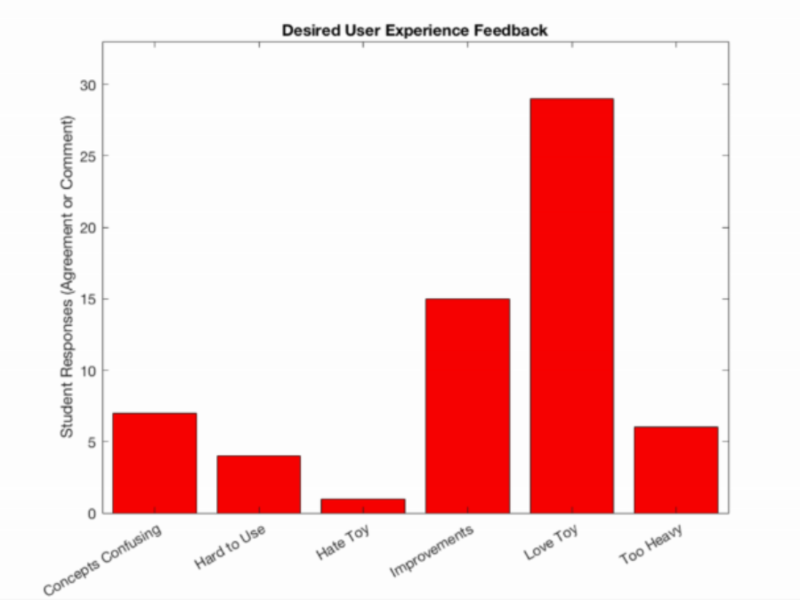 Figure 26: Desired survey feedback from children after user experience testing. 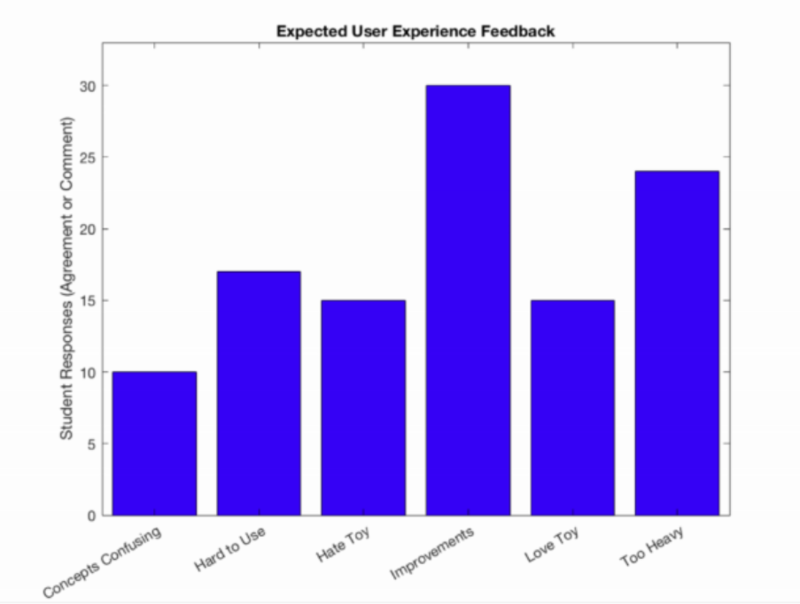 Figure 27: Expected survey feedback from children after user experience testing. The only equipment we will be using besides our testing prototype will be an imperial scale and an imperial tape measure for our weight and size tests. We will be doing safety and durability testing through visual and tactile inspection. Our user experience testing will require surveying children between the ages of 4 to 7 years old. Other than this, we do not require any extra equipment and do not need to purchase any data acquisition materials. This section will be broken into ten subsections with specific instructions on how to conduct tests on our product. Obtain standard imperial unit scale. Weigh each individual component separately and record weight in data table. ​Assemble all four cubes and interlocking component. Weigh all 5 subassemblies separately and record weight in data table. Assemble full toy and weigh it. Record overall weight in data table (example data table found in Table 8). Table 8: Example data table for recording weight measurements. Obtain an imperial unit measuring tape. Measure the base, width, and height of the fully assemble toy. After performing “4.1 Wear and Tear Testing”, determine how many assemblies the toy breaks into. If the toy does not break and remains completely intact, then no changes need to be made. If the toy breaks open and there are more than 2 sealed assemblies accessible to children, then the product failed this test and needs to be redesigned. Create a go-no gauge with an inside edge of ¼ inch. Compare this gauge to the edges of the toy that are exposed to users. If the toy edge is a “go” then great. If the toy edge is a “no-go” then the edges need to be filed more. Inspect to determine if any lights are included in the design. None have been designed for so if any exist this will be a big surprise. If there are any flashing lights, remove them. Have Risk Management representative look over the toy. Pass means the toy could be introduced to a hospital setting. Fail means we need to adjust something to meet their standards. Obtain a standard empty toilet paper roll (just the cardboard tube). Use the toilet paper roll (a 1.75” in diameter tube) to try and fit accessible components of the toy through it. The components being tested will be the only parts that children can touch and use when the toy is fully assembled. If the components do not fit through the tube, then they pass this test. If the components fit through the tube, then they are a choking hazard and need to either be removed or changed so that they cannot be accessed by children. Cut three pieces of 1/4” polycarbonate to the size specified in the CAD drawings for the walls and windows (2 pieces for the windows, 1 piece for the walls). 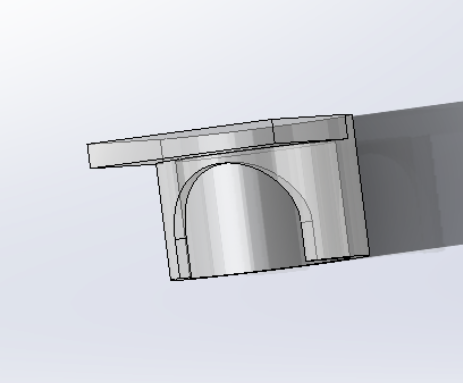 Cut 4 lids as specified on the CAD drawings. Ignore the 8 holes. Only cut the outline. Bend the 2 window pieces with a heat gun and 90 degree jig to create the 90 degree bend in the ¼” polycarbonate for the windows. Fasten the 2 lids to 1 window using epoxy. Fasten 2 more libs to remaining 1 window using epoxy. 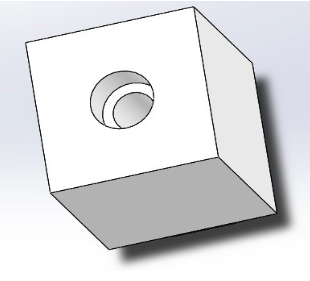 Take the remaining piece of ¼” polycarbonate and mill 2 holes in the middle as shown in CAD drawings for the tslot bolts. Use the first lid/window assembly for Instron Compression testing, following the instructions for this process given by the machine specialist. Use the second lid/window assembly for impact testing, again using the instructions for this process given by the machine specialist. 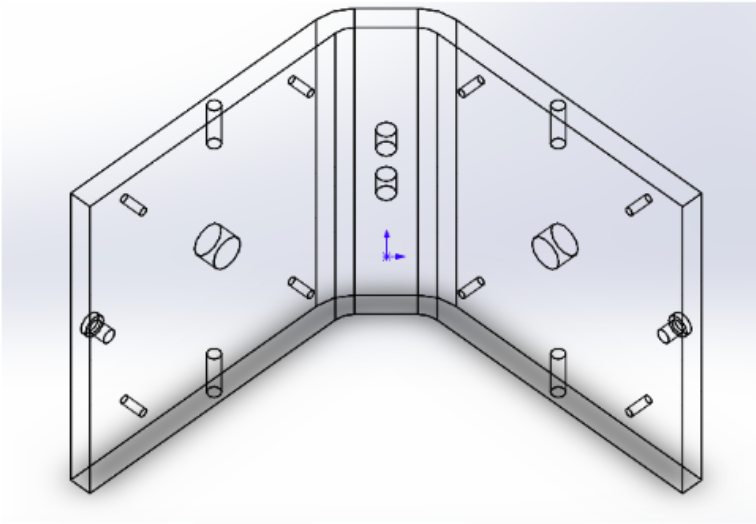 Use the walls/interlocking component assembly for Instron tensile testing (refer to machine specialist for instructions). Record data for all 3 tests and analyze data for toy strength. Obtain cleansing wipes from CHCO. Wipe outside of toy and let dry. Perform visual inspection of toy to test whether someone could still see through the sides and be able to continue using the toy normally. Repeat this process until either the opacity is close to 100% or the cleansing amount has hit 100 repetitions without any visual inhibition. 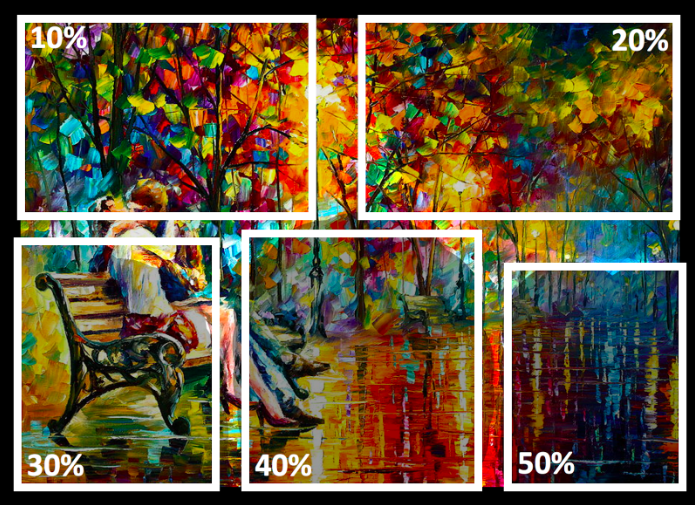 Figure 28 gives a visual representation of different levels of opacity over a colorful image. Figure 28: Opacity representations for the ranges of 10% to 50%. Bring complete prototyped product to Horizons K-8 to be used by 4-7 year olds. Bring notebook for taking observations and to record user reactions. Break the kids into small groups of 3 to 4 and have them each interact with the product. Let them play and discuss for 20 minutes while fielding questions they might have. Have the first group of children explain the toy to the second group and listen in to see what insights the kids have that they might not have told to the team. Is the toy too heavy? Is the toy easy to play with? Do the concepts in each maze make sense? What can we add or improve on each maze? What do you like about this toy? What do you dislike about this toy? Do you have any questions or comments about the toy? Record their answers in notes and type up to show the rest of the team, director, and client for this project. Discuss outcome of results with team, director, and client. Decide what aspects of the design can be changed or added to in order to incorporate new ideas brought up by children. Iterate on product and bring new version to children. Repeat this process with the new version. 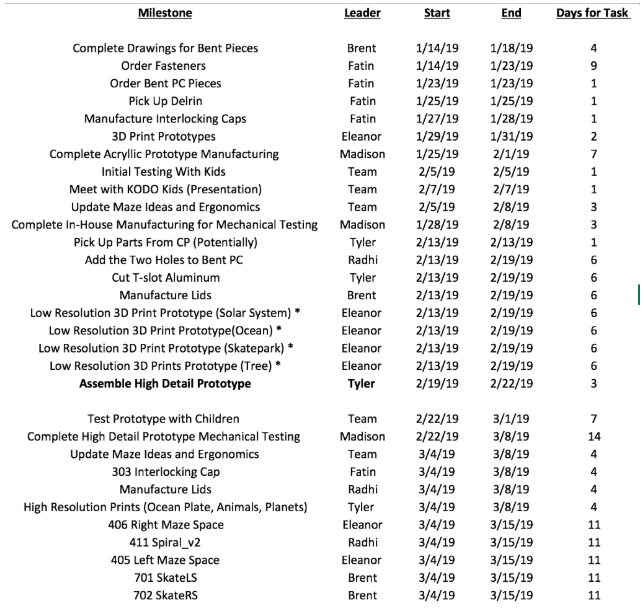 In order to ensure that we meet our goal of producing two final products for the hospital, we have organized our schedule in three phases: prototyping, final product, and wrapping up. The prototyping phase will last from the begging of the semester to March 8th. During this phase we will be bringing prototypes to children for user testing and will simultaneously be performing mechanical testing in house. The final product phase will last from March 4th to March 19th. During this phase, we will be completing manufacturing for every component of our assembly. Prior to the start of the final product phase we will make a judgement call to determine if we have the time and resources to complete multiple final products simultaneously. After the final product phase, we will go on spring break and then move into the wrapping up phase. Here we will be preparing our presentations for pre-Expo and Expo, writing the final report for the project, and celebrating our accomplishments. In the likely event that unexpected challenges arise, the team is prepared to adjust the previous schedule to meet the project’s needs. The team is prepared with the following recovery plans for the most likely scenarios listed below. If we take the toy to test with the children and they find that it is too heavy, we will reconsider our design, and take weight out wherever we can. Our top choices for weight reduction are in the mazes and in the overall size/shape of the product. If this is the case, we will need to consider whether the children do not like the mazes, or if they do not like the whole concept of the maze in general. If they do not like the mazes we will spend time redesigning our maze concepts while also reaching out to experts (youth psychologists, teachers, etc.). If they do not like the maze idea in general, we may need to reconsider our design and determine a way to make the concept more appealing. Restarting the product at this point will not be feasible. 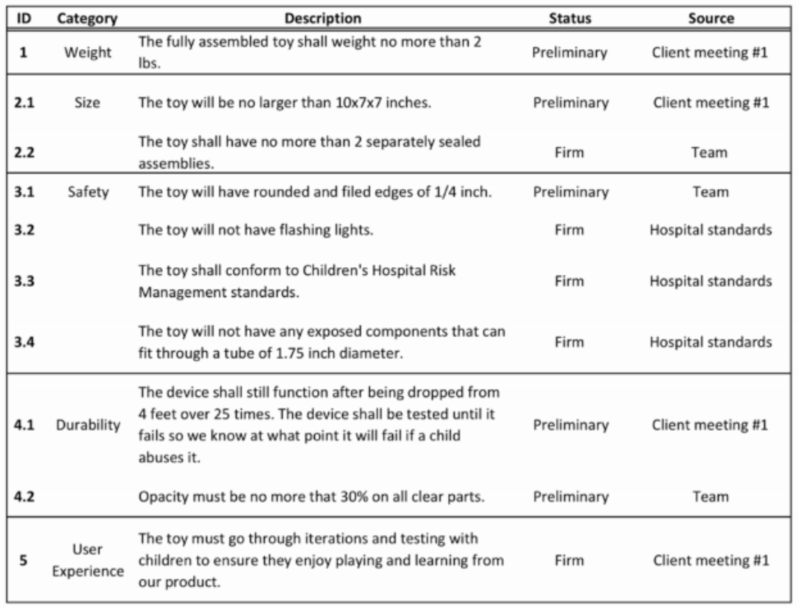 In this situation we will need to determine which aspect of the toy the hospital has deemed unsafe and design around that feature so that the product does meet the hospital standards. If the hospital or educational experts determine that the product is not educational enough, then we will need to reconsider our maze designs. To ensure all requirements are met, we will reach out to educational experts and scientists to determine what the product needs to make it an educational vessel. In this scenario, we will need to consider adding handles to the sides, removing one of the mazes and adding a handle, or manipulating the geometry of the product in order to ensure kids can properly use the toy with ease. It is crucial that the toy is able to withstand rough play with children. If the toy fails at any point, we will need to critically analyze the failure point and redesign the structure so that it is safe for children in the hospital. ​For the moment, the team has decided with the client, Brian Jernigan, that as of now no Intellectual Property has been generated in this project.